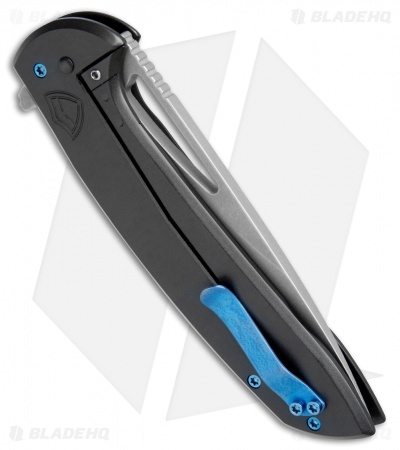 This Stinger XL has a Saber handle design in a Black finish with blue anodized titanium hardware and pocket clip. 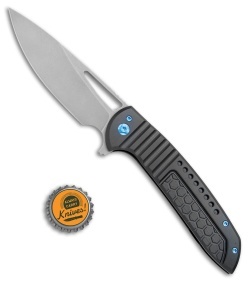 It comes outfitted with a stonewashed blade. The Ferrum Forge Stinger XL is a large folding knife with a precise, ergonomic build and exceptionally smooth action. 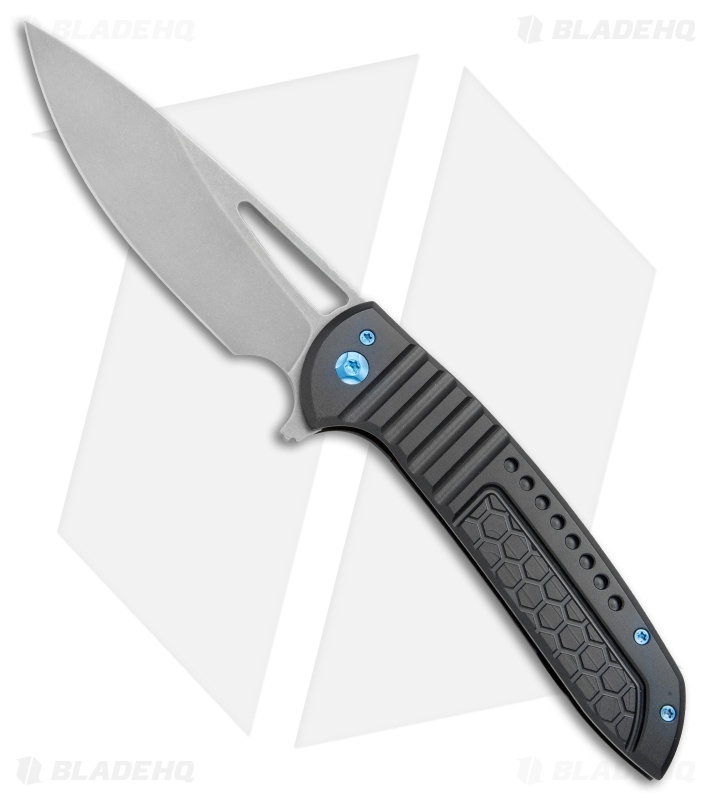 It sports an all-titanium frame lock handle with a hardened D2 tool steel lock insert, integral over-travel stop, and ceramic HRD. 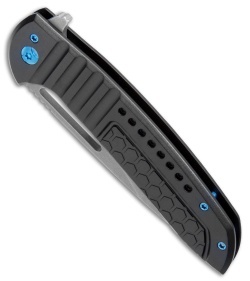 The knife is equipped with a CPM-20CV steel blade with jimping on the thumb rest and flipper, as well as an elongated thumb hole for simple one-handed operation. The Stinger XL will be the last run of 200 knives from Ferrum Forge Knife Works, so get yours while you still can! CPM-20CV steel offers heightened edge retention and top-notch cutting performance. Caged thrust bearing pivot paired with an HRD ceramic detent provides quick and responsive blade deployment. Bent titanium pocket clip allows comfortable and secure tip-up EDC.